I go to Starbucks several times a week to work on my Reliv business and I buy myself a drink while there. I decided that with every Starbucks drink I bought during the 40 days of Lent, I would donate $5 to the Kalogris Foundation. In the end, I made it an even $200 donation. I know that it really helps make a difference in someone’s life. The 2012 International Conference was a real blast! One of the many highlights was the annual Rally for the Mission to benefit the Reliv Kalogris Foundation. Watch the fantastic video above to see a selection of highlights from the Rally and enjoy Reliv’s very own, ‘I’m Healthy and I Know It’ music video. You can download the song here and play it at your weekly Reliv meetings. We are happy to report on the latest updates from the Reliv Kalogris Foundation. 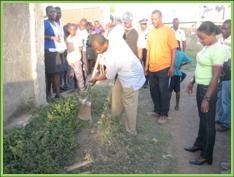 We have already completed the first quarter of 2011 and the Foundation has been busy preparing for some exciting projects and activities for this year. 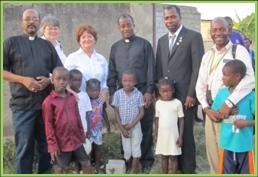 Our special building project in Haiti is underway and you can read about the latest updates inside this edition. We are also preparing for our First Annual Rally for the Mission to take place at our St Louis International Conference. The Rally is guaranteed a great time for all of our Distributors and a wonderful way to raise money for the Foundation. You won’t want to miss it! We will continue to keep you updated with new stories and events through our Facebook page and welcome your feedback. At the Atlanta Conference I was happy to report that we finished out 2010 with record donations. The momentum has continued and I am optimistic that this will be another great year for the Foundation. Thanks to all of you for your continued support! See you at Conference in St Louis this August. Donations: Donations received in 2010 surpassed any other year for the Foundation. We realized a 21% increase over 2009. Mission Walk: We had the highest number of participants with over 90% of those attending Conference joining us for the Walk and bringing in over $40,000 for the Foundation. Mission Trips: For the first time ever, Reliv provided winners of a sales promotion an opportunity of a lifetime. These Distributors visited our feeding programs in Malaysia, Haiti and the Philippines. Their experience was captured on our latest DVD where they shared their experience and showed other Distributors what a difference the Foundation is making in the lives of so many. Nationwide Registration: With nationwide registration complete, the Foundation is now able to receive donations from anyone interested in supporting our work. Distributors, family, friends, customers and businesses can now make a tax deductible donation. Network to Nourish: Distributors throughout the United States are now able to hold events in their state to benefit the Foundation. As several Distributors have already found out, promoting the Foundation also promotes Reliv and promoting Reliv helps you build your business. Donor Recognition Project: The addition of Donor names on our website and recognition of our $500 + Donors in the RKF room at Corporate has been well received by our Distributors. Facebook: This is a great way to stay connected with the latest updates and testimonials we receive from our feeding programs, as well as interaction with our Donors. We look forward to hearing from you. In previous years, the most popular element of our Walk for the Mission fundraiser was seeing so many teams of Distributors dressed in costumes and themes that expressed their support of the Reliv Kalogris Foundation. With music playing and Distributors gathering, everyone always has a great time. With minor tweaking of this Annual Event, we are off to a great start for this year’s Rally for the Mission. Distributors will still pick a theme, dress up in costumes and with background music playing, each team will have an opportunity to walk across the big stage for all to see who will be picked as the most creative and energetic groups. Each member of the first place team will go home with their very own Rally trophy. Second and third place team members will also receive an individual award. By simply signing up for the Rally, your $20 tax deductible donation entitles you to join in the fun and leave with a commemorative gift! If you haven’t signed up, make sure you do it today and we will see you at the Rally! How is the Foundation Making a Difference? The group “Nous et les autres” (We and the Others) has been caring for indigent and poor children in the Cap Haitien area of Haiti for 34 years. Prior to the earthquake in 2010, the committee was responsible for 20 young people. After the earthquake, an additional 64 children have been added under their care. These are primarily homeless children, some of who have been placed temporarily in foster homes. There are others living in make shift shelters and on the streets of Cap Haitian. The increase to 84 children are a result of orphaned children coming from the earthquake stricken area in Port au Prince. The need for housing for these children brought this committee to Dr. Manno, to see if we could help them help these children. The goal of the committee was to have not only funds for the construction of a nutrition center and home, but enough product to expand the work they can do in the impoverished area of Petite-Anse. On February 8th, a ground breaking ceremony was attended by city officials, law enforcement and members of the surrounding community and we began to lay the groundwork for a better future for these kids. By the beginning of March, workers began clearing the land and digging the foundation. In no time at all, the walls were taking shape. While the workers in Haiti were busy at the construction site, Reliv Employees were given the opportunity to help support this project from right here at corporate headquarters. We provided a list of items that were needed to furnish this home; everything from kitchen supplies to linens for the dormitories to a welcome gift for each child. We had a great response from our employees! A group of talented employees volunteered to sew bed covers for the dormitory and in no time, covers were sewn, ironed and packed. And even after all items were purchased and the container was on its way to Haiti, donations are still coming in for home baked items from employees in the Call Center. Everything from brownies to tamales are available for a small donation. It is obvious that our employees have embraced this project and have enjoyed getting involved! We are pleased to announce that Dr. Emmanuel Mareus (Dr. Manno) will once again join us at this year’s St Louis International Conference August 18 – 20, 2011. His first visit in 2009 proved to be one of the major highlights of Conference and his visit gave our Distributors an opportunity to meet the man who has partnered with us in helping combat malnutrition in Haiti. Dr. Manno is working with the RKF Staff to ensure the completion of the mentioned orphan project. A building dedication will take place in June of this year and Dr. Manno would like to attend our conference to personally thank our Donors for their generosity and continued support of his people and his country. You will not want to miss the RKF segment at Conference! Dr. Manno will be available to visit with our Distributors who stop by the Kalogris booth during conference. The RKF is on Facebook! 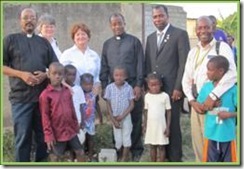 Keep up with the goings-on, new photos, trips updates, recent news and events of the Foundation. Chat with other Distributors who share the same passion about the Foundation as you do. We would love to hear your stories and why you are passionate about the Foundation – so “like” us today! We know money doesn’t grow on trees, and we know everyone is having to determine when and if they are able to support our Foundation. So the least we can do is to try and make it easy and convenient for our Donors when they are able to donate. Although PVQ donations continue to play an important role in funding our programs, we want to build on this base by appealing to the thousands of other Distributors who may not be Master Affiliates but would like to contribute. Visit our website, www.relivkalogrisfoundation.org, click on the “Donate” tab, log in and you are on your way to becoming a Donor. Would you like to make a single donation? Just click on the One Time Volume Donation option. For those interested in donating monthly, whether it is $5, $10 or any designated amount, choose the Recurring Monthly Donation.You will be billed on a monthly basis, the same day each month. Master Affiliates choosing the PVQ option will take affect on the first day of the following month (i.e. sign ups on May 20th takes effect June 1st). PVQ donations will automatically be billed on the first day of every month. There is no need to PVQ a product order again. If you need assistance, please give us a call and we will be happy to answer your questions. For years, our Reliv Distributors were our sole donors. We believed the next step to help ensure a healthy donor base with unlimited opportunity for growth was nationwide registration. With this complete we are able to accept donations from family, friends, customers and businesses wanting to make a tax deductible contribution. Remind your customers that they too can donate online, all they need is their RCN number and password to log in! What is Network to Nourish? The Fourth Pillar, “The Mission”, is another effective way to promote your Reliv business. To assist you with marketing pieces, check out what is available on our website. The following items will enable you to tell prospective customers what the Foundation is about (fact sheet, before and after testimonials, Reliv’s charitable efforts, postcard and an e-card available on the Reliv website). These pieces can be used to promote your Reliv business using the Fourth Pillar: The Mission. We also are giving Distributors an opportunity to host an event in your community, under Raising Funds for the RKF, you will find an Application and Guidelineswhich will help you raise awareness and funds for the Foundation, in addition to increasing awareness of your Reliv business. Last fall, several Reliv Distributors hosted events in their communities. These events brought in over $8,000 to the Foundation and the Distributors not only had a great time, they also were thrilled to use these events to promote Reliv and the work of the Foundation. More events are scheduled in the coming months. Let us know if you would like to host a Network to Nourish event and we will be happy to answer any questions you may have. We have been very busy working on the building project in Haiti and before we know it, the Foundation Staff and Board Members will be attending the building dedication in late June. I am excited and can’t wait to see the look in the eyes of these children when they are given a loving home where they will receive good nutrition and the opportunity for an education in a new community where the will find many new friends and people who love them. This story has a great ending, and who better to share it with our Distributors than Dr. Manno himself during the St Louis International Conference. We hope when you register for Conference, you also register for the Rally for the Mission and bring your family, friends and supporters to St Louis. That’s all for now. We will see you in August! To Nourish Our World by providing Relìv nutritional supplements to support needy individuals and organizations throughout the world.